Ready to become your own boss? Here are our top tips for starting your freelance journey. 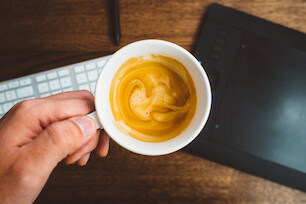 Working as an employee within a company definitely has its perks, but for some, the promise of freedom that comes with a freelance career is too tempting to resist. Going freelance opens up a world of possibilities. You can choose where you work, who you work with and how many hours you work. You become your own boss and take full responsibility for every area of your business, including your earnings. 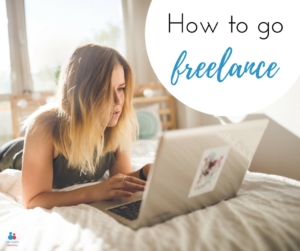 Before taking the plunge and handing in your notice, it’s worth remembering that it takes a lot of hard work and self-motivation to succeed as a freelancer. But then again, you’re not afraid of a little hard work, are you? Thought not. Once you’ve decided you want to go freelance, you’ll need to come up with a name for your business. If you don’t have one already, setting up a website where you can promote your services should be your top priority. Utilise social media and start making connections with both those in the industry and potential clients. Knowing your audience is an essential part of marketing. Look at your competition, find out where your audience hang out online (do they chat on Twitter or do they prefer Instagram?) and find out what their interests are. Create a ‘dream client’ profile. Give them a name, age, gender and back-story. If you intend to work with organisations or brands, write up a list of ‘dream brands’ too. Now you need to establish yourself as an expert in the field. Writing articles and blogs is a great way to do this. Show your audience you know what you’re talking about by providing value for free (at first!). If your audience trusts you and knows you provide value, they’ll be more willing to pay for your services down the line. Before you leave your current job, you need to take a good look at your financial commitments and work out how much you’ll need to earn every month to get by. Some people like to have some savings set aside before making the leap, but this will depend on personal circumstances. Whatever you decide, be specific about what you need to earn (or what you would like to earn) as this will become a template for you to set rates. Being freelance does mean a lot of solo-work, but that doesn’t mean you can’t reach out for support. Is there an area you’re worried about managing, like your accounts? Why not hire an accountant or financial advisor to help with this? For general support, accountability and motivation, consider hiring a coach. They can help you turn a dream or idea into something tangible, giving you an action plan to work on and solid goals. When you do make the jump from employee to freelancer, make sure to get the legal side of things taken care of. This means setting yourself up and complying with HMRC requirements. You can find out how to do this on the HMRC website. Our final tip is to enjoy yourself and remember that building a business is a journey. There’ll be mountains to climb, but with the right tools and the right support team, you’ll get to enjoy some incredible views from the top.